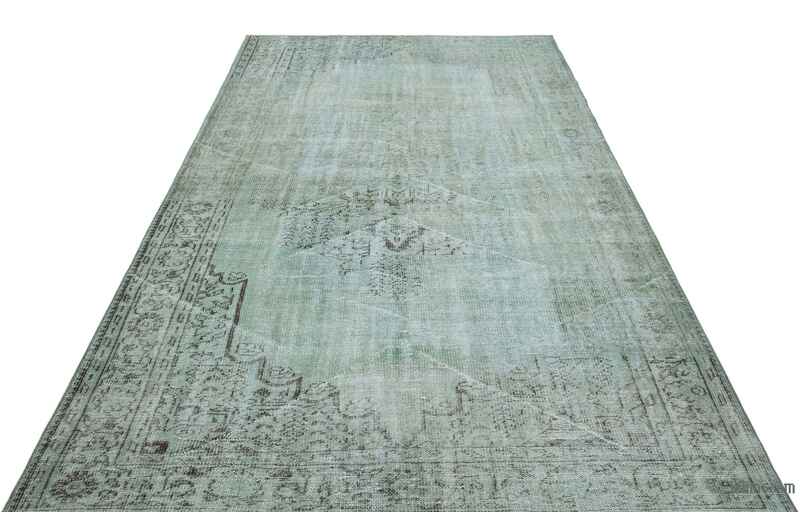 For a contemporary look with abstract appeal, this light blue over-dyed rug is skillfully crafted by the revitalization of a genuine hand knotted vintage Turkish rug woven in the 60's or 70's. 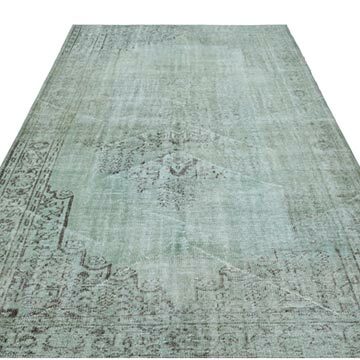 Made from wool on cotton, this “distressed” rug measures 5'9'' x 9'8'' (69 in. x 116 in.). The process in creating these works of art begins by shearing to lower the pile and to help “distress” them. They then undergo a series of processes to remove the color. 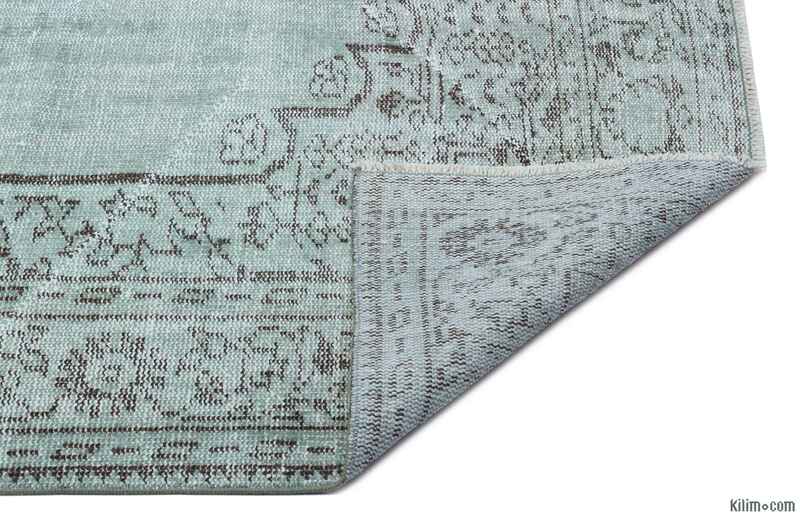 They are now ready to be dyed in one color, a stage that can be repeated several times to reach the desired saturation level and hues that complement and contrast the old. 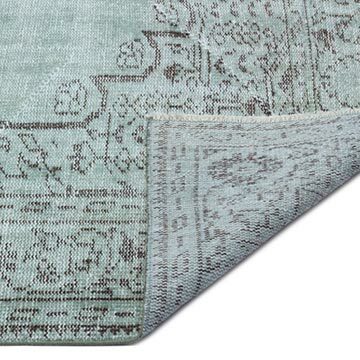 In addition to being unique and hand-knotted, these rugs make a very special statement about bridging generations of artisanal skill and knowledge over time. 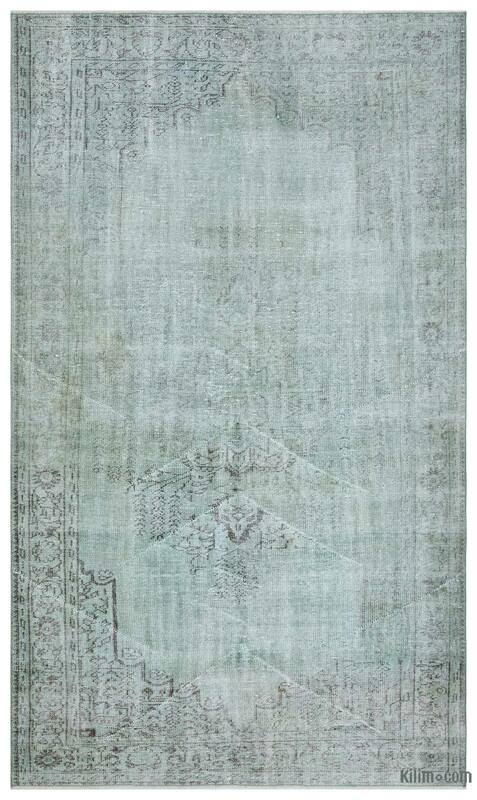 This magnificent transformation can be considered a piece of contemporary art, with a unique look that complements any modern décor.